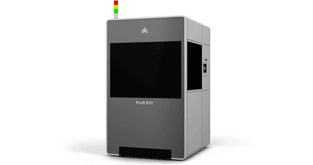 Germany-based FIT Additive Manufacturing, one of the leading full service solution providers for Additive Manufacturing has installed three ProX 800 3D printers and one ProX 950 SLA 3D printer from 3D Systems at its facilities in Lupburg, Germany. 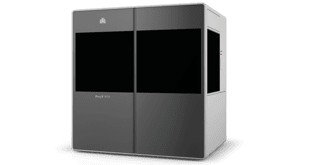 An official release from 3D Systems revealed that the new large-build systems will be used to serve FIT’s industrial customer base of companies operating in the automotive, aerospace, consumer goods, special machinery and healthcare industries. The two large-build systems deliver high quality, high resolution parts with superior accuracy and provide a surface finish comparable with traditional mold manufacturing. Engineers from 3D Systems have designed the Accura materials exclusively for the ProX SLA print engines. These include polypropylene-like, durable, clear, castable, high-temperature, ceramic-filled composites and other advanced materials. Both the large-build 3D printers also feature expanded build sizes. For example, the ProX 800 features a build envelope of 650x750x550mm whereas the ProX 950 features an even larger build envelope of 1500x750x550 mm. This allows production of large parts like dashboards and QuickCast investment casting patterns in a single piece. “These are complete solutions in every sense, from the 3D SprintTM file preparation and management software that comes bundled with the systems to the latest Accura® additive materials”, added Fruth. FIT has been using the Accura ClearVue to produce transparent skull models that help surgeons to prepare for cranial neurosurgery. On the other hand, the company is also using the materials for other applications such as 3D printing automotive parts to test aerodynamics in wind tunnels; durable product prototypes for evaluating fit, form and function and other applications. “Our founder and CTO Chuck Hull invented the stereolithography (SLA) process more than 30 years ago; since then SLA has more than proven itself as the premiere additive manufacturing technology for automotive, dental, medical, entertainment, and other industries that demand durable parts with fine details and textured surfaces,” said Wayne Davey, General Manager EMEA and India, 3D Systems. “Like 3D Systems, FIT Additive Manufacturing Group has a well-deserved reputation for design and manufacturing excellence and we are confident that the ease of use, quality output, and oversize build capacities of these ProX systems will make them a valuable addition to FIT’s in-house additive manufacturing capabilities,” concluded Davey.